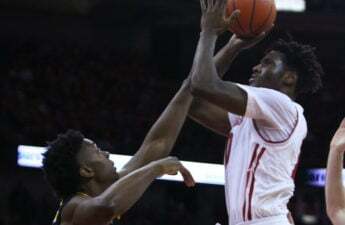 Ask Nigel Hayes about the final standings of the Big Ten, and the University of Wisconsin men’s basketball senior forward will give it to you straight. “We obviously know we gave it away like five times in a row,” Hayes said regarding Purdue’s regular season title win, despite four conference losses. The No. 24 Badgers (23-8, 12-6) are the two seed behind the Boilermakers entering the Big Ten Tournament in Washington, D.C., this weekend. The confetti falling on UW would be some form of redemption, Hayes said, but then he realizes all 14 teams want to win it. The postseason also provides an opportunity for the fresh start, though UW is essentially guaranteed an at-large berth to the NCAA Tournament regardless of the tournament’s results. 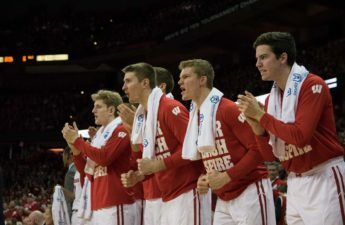 A tournament win would provide the Badgers with what Hayes calls “mythical momentum.” That doesn’t mean a strong showing in the nation’s capital won’t help UW’s seeding situation in The Big Dance. UW has positive things to build on following its Senior Day win over Minnesota, the tournament’s No. 4 seed. “Guys last game made some shots, that was definitely good to see that for the confidence,” Hayes said. 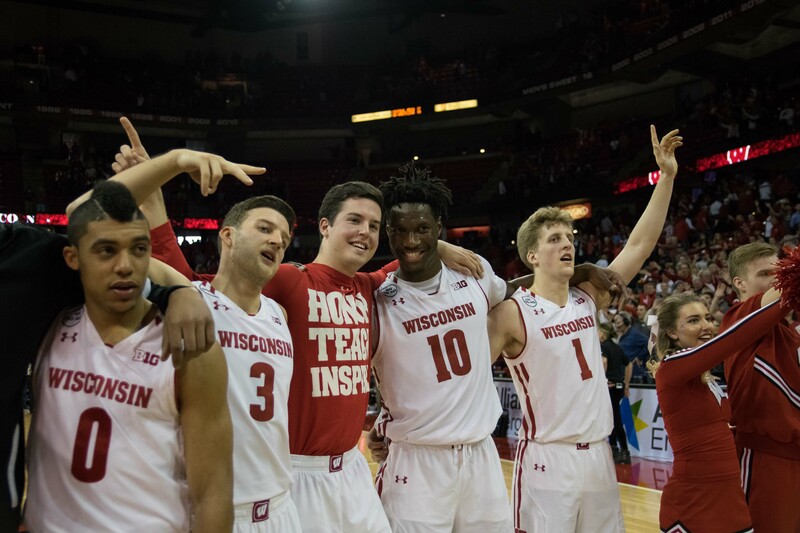 As to why Wisconsin feels it can win it all this weekend, sophomore guard Khalil Iverson said it was because of the team’s continued confidence, despite losing five of its last seven games to close the regular season. Wisconsin, with a double-bye to the quarterfinals, will take on the winner of 10-seed Indiana and No. 7 Iowa (5:30 p.m., BTN). 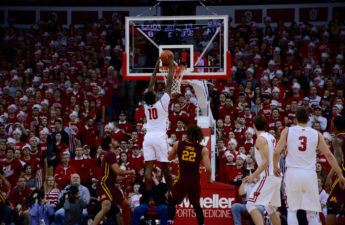 The Badgers defeated the Hoosiers 65-60 at home Feb. 5. But if UW draws Iowa, the Hawkeyes will be just eight days removed from stunning the Badgers on their home court. UW associate head coach Lamont Paris said the coaching staff thought about traveling to D.C. early to live-scout the game, but UW had already seen both teams this season in person, eliminating the trip’s necessity. Beyond the opener, UW and Hayes won’t pay attention to much of the rest of the bracket until the outcomes are decided, other than casual mental notes. The most likely semifinal opponents include No. 3 Maryland, which will be playing basically home games all tournament, or No. 6 Northwestern, a team that beat UW at home on Feb. 12. Senior forward Vitto Brown, a member of the 2015-16 national finalist squad that won the Big Ten tournament, said this year’s team is most like that one in terms of camaraderie. 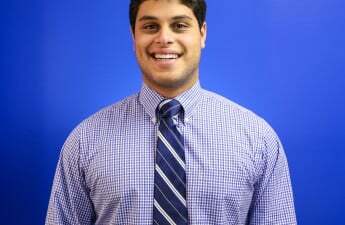 “We would actually call ourselves brothers,” Brown said. “Not even trying to be corny, but we were always together, always doing things, not only on the court but off the court as well. 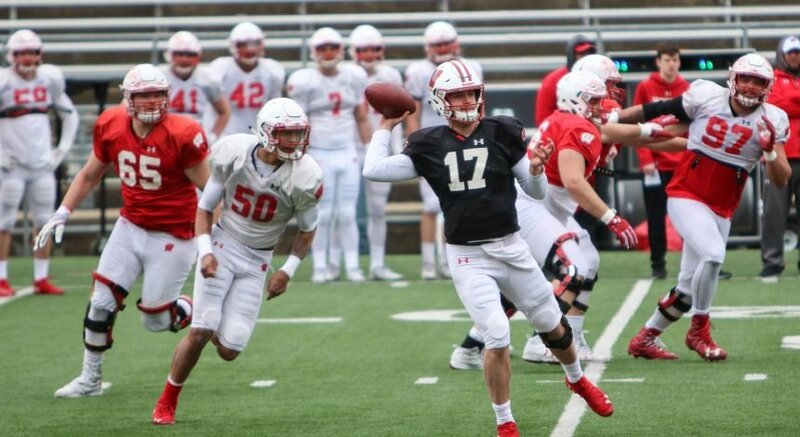 I think last year was a year that was so new for everybody, there was a bunch of new guys, obviously people who weren’t used to playing, so that was everybody is more finding themselves type of year.